A great conversational piece at any dinner party is the question, ‘what was the world’s first brand identity?’ The answer is the instantly identifiable red-triangle of the Bass Pale Ale logo. This distinctive identity was registered under the United Kingdoms 1875 Trade Mark act. Due to the fact that the act actually came into effect on 1st January 1876, an employee of Bass queued outside the registrar's office for the whole of the New Years Eve night to ensure that they were the very first in line to register the trademark the following day. Thanks to the efforts of that Bass employee, Ratcliff & Gretton Ltd received the first two registrations, the Bass Red Triangle for their pale ale and the Bass Red Diamond for their stronger ale. 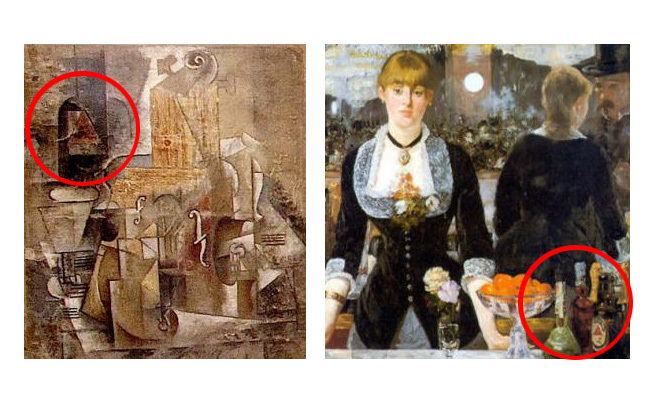 The Bass red triangle is such a significant brand icon that it features within a number of the worlds best known works of art and novels including Édouard Manet’s 1882' Bar at the Folies-Bergère', Pablo Picasso's 1914 'Bottle of Bass and Glass' and James Joyce’s 1922 ‘Oxen of the Sun’ episode of 'Ulysses'. William Bass founded the company in 1777, in the English brewing town of Burton Upon Trent. At its height one quarter of all beer sold in Britain was produced in Burton on Trent. 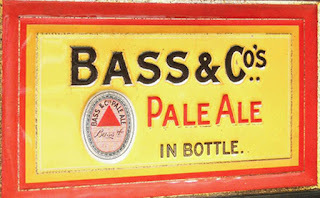 Bass Pale Ale was exported throughout the British Empire and by 1877 had become the world’s largest brewery, producing an output of over a million barrels of beer a year! In the early 20th century Bass took over a number of large breweries and in the 1960’s a merger with Charrington United Breweries made them (at the time), the largest UK brewing company. By the 1980's only three main breweries remained in Burton upon Trent, Marston's, In Coope and Bass. In response to consumer demand for premium bottle ales, in 2013 the product was made available in a 500ml bottle size for off trade. 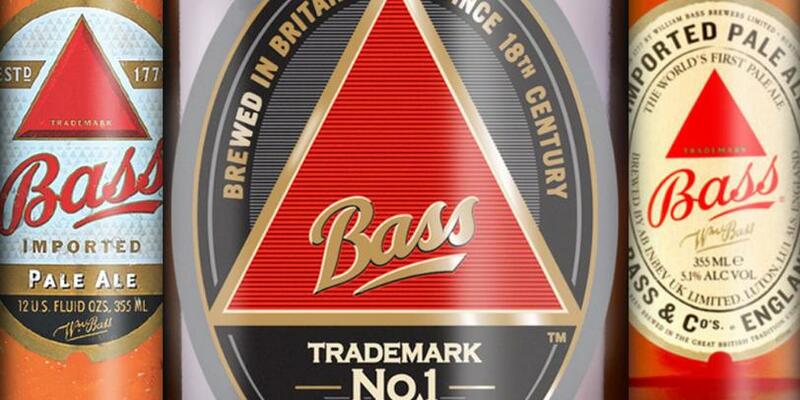 Furthermore, the company also changed the products name to ‘Bass Trademark No.1. This fully highlighted the importance of this legendary brand and fully celebrated it's place in history as the world’s first registered trademark. Today, the Bass pale ale brand is part of the worlds largest brewing company, the Anheuser-Busch InBev and is available in over 50 countries, on draught, in bottles and cans. 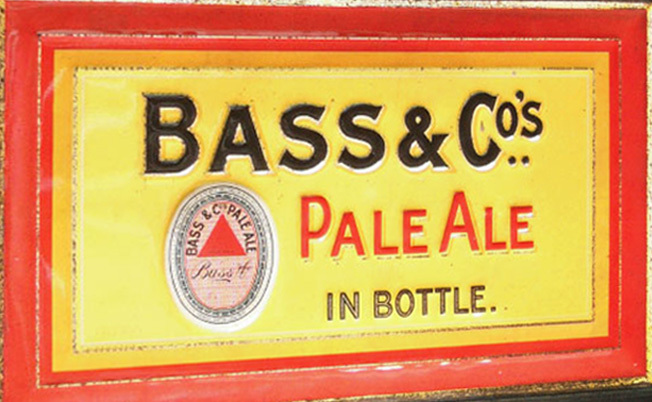 Since 2005 Bass Draught has been brewed under contract by Marston’s for AB-InBev who are still based in Burton Upon Trent, however bottled products for export are now brewed at AB-InBevs own brewery in Samlesbury, except for the United States and Belgium where Bass is brewed locally. With its simplicity of colour and form, the Bass logo is a prime example of branding at its very best. Immediately identifiable it is without doubt a pioneer of international Branding and worthy of its place as our first featured Classic Brand.